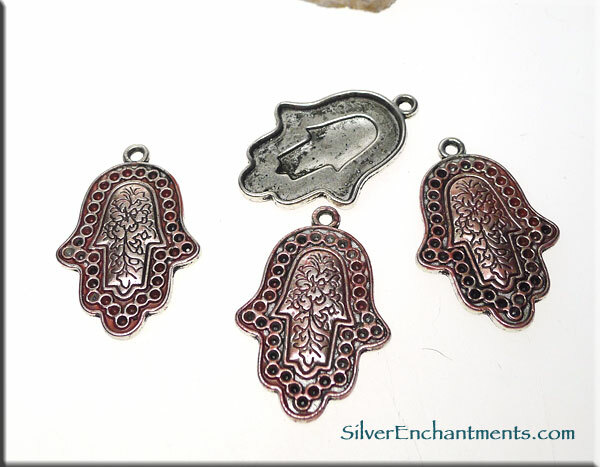 These Hamsa Pendants have been given a Dual Shade patina by hand. Each one is unique and no two are the same. To achieve the faux patina, a variety of materials and techniques are used, as well as a sealer. 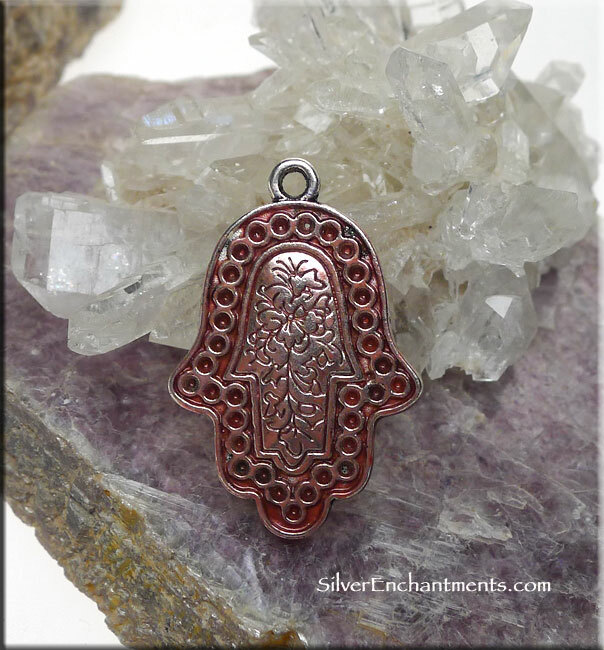 The hamsa hand (Arabic) or hamesh hand (Hebrew) is an old and still popular apotropaic amulet for magical protection from the envious or evil eye. Materials : Lead & Nickle-free Tibetan Silver, Patina.